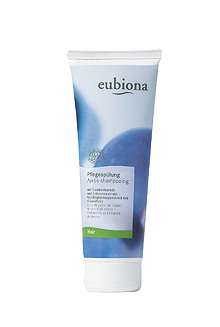 Grape seed oil and lime extract illuminate your hair and have a detangling effect. The unique ingredients provide your hair sustainable with moisture. Your hair will be more voluminous with more resilience and will feel nice and weightless. Apply to damp hair and work through to ends, leave in for a short time and rinse thoroughly. 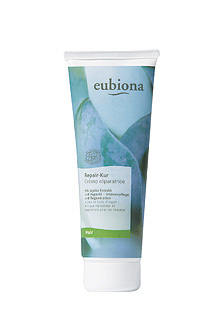 Jojoba oil cares weakened hair and prevents split ends. Especially dry hair gets moisturised. The antioxidantive skill of the argan oil protects your scalp in an intensive and natural way. Apply once a week on your wet hair and let it work for 10-15 minutes. Please rinse out carefully.